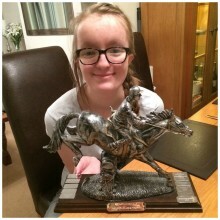 15 year old Georgia Brentnall has inspired her Mum's work colleagues to do a 90 mile charity bike ride. 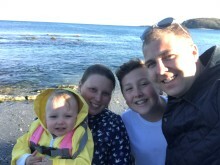 We have supported Georgia's family at Acorn House on a couple of occasions when she's needed treatment at Addenbrooke's Hospital. It is so important to have a place to stay which is clean, comfortable and homely when you are living your life in hospital. 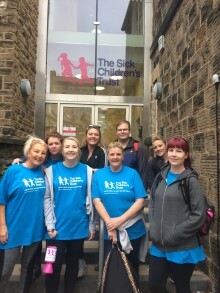 The Mum of a little boy who last year underwent major surgery at just four weeks old has completed a sponsored 23 mile walk with family and close friends to raise money for The Sick Children's Trust after they supported her family. Cambridge charity workers are asking locals to take part in their second Family Fun Day with live music, a raffle, dancing and more to raise money for The Sick Children’s Trust, a charity which supports families with seriously ill children being treated at Addenbrooke’s and The Rosie Hospitals. 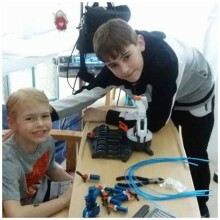 Harry is preparing to do a 5km sponsored run this weekend to raise money for Scott House as thanks for supporting his family while brother Max waits for a life-saving heart in Newcaslte's Freeman Hospital. 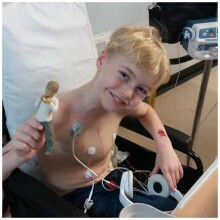 Max is currently at Newcastle's Freeman Hospital waiting for a life-saving donor heart. Home is over 180 miles away in Cheshire, but he is able to have his family with him as we are supporting them at Scott House. 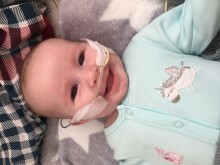 The Sick Children's Trust helped the Hicks family when their baby daughter, Lily, was given just a 20% chance of survival after contracting bacterial meningitis. 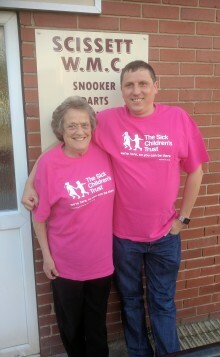 Now the Hicks family have taken on an ambitious fundraising challenge for the charity to say thank you. We are so lucky we had a ‘Home from Home’; I don’t know how others do it. Gemma Smart took on a skydive last month in the hope of raising £575 for The Sick Children's Trust. 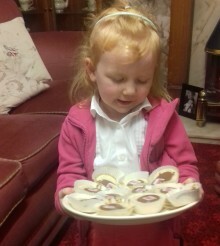 She has raised much more, with a total of £4202. 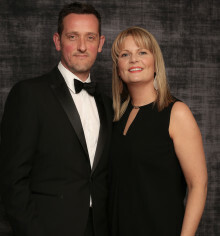 Marcus and Laura Leverton continue to support The Sick Children's Trust and have boosted their total fundraising total to over £162,000, following two successful annual charity balls earlier this year. 15 student officers from Essex police college have raised over £2,000 for The Sick Children's Trust through a 24 hour football fundraiser. 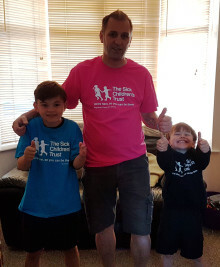 Lucas recently raised over £800 by taking part in the Felixstowe Fun Run to say thank you for supporting his parents when his brother, Ollie, was fighting for his life in hospital. 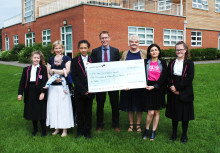 The Pesterfield family have raised £3,910 to say thank you for supporting them at Acorn House when brothers Jayden and Ellis were involved in a life-threatening care accident. Because of Acorn House we could be with our boys as they fought for their lives. 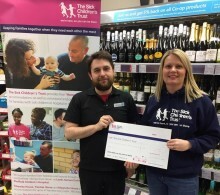 The friend of a couple who nearly lost their daughter when she contracted a deadly bacterial infection and pneumonia last year is undertaking a 400 mile cycling challenge for The Sick Children's Trust. 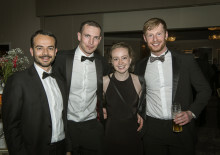 Chairman for the North East branch of IMechE selected The Sick Children's Trust as the charity for the annual dinner which raised over £5,000. 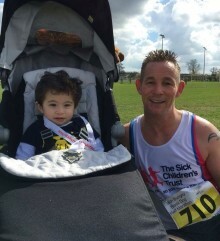 This weekend, Gemma will be taking on her first ever skydive to thank The Sick Children's Trust for supporting her in Acorn House whne her son Drew was seriously ill.
Father raises over £300 for The Sick Children's Trust running his first half marathon in record time to say thank you for helping his family when their son, Kian, was rushed into hospital. We were delighted to receive £3,000 from the Co-op after being selected by a number of stores in Sheffield.